Links to all my previous contributions to the Imaginary Compilation Albums series can be found on the Elsewhere tab at the top of the page. Sorry I haven’t posted in a while, and I will get around to doing a load more posts at some point, probably. But just to assure (or dismay) you that I’m still alive, here’s a single I’ve had in the queue for a while and never got around to sharing. 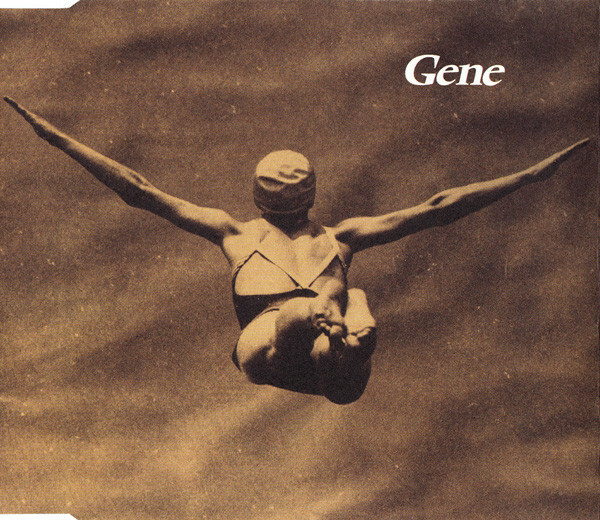 They’ve got a bit more praise since they’ve split up, but I always thought Gene were one of the more underrated bands associated with the Britpop scene. 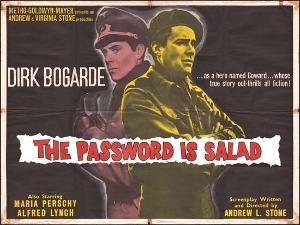 They always got dismissed as Smiths copyists, which seemed a bit unfair. So sometimes they sounded a bit like The Smiths – is that a bad thing? Anyway, this is the title track from their debut album, but re-recorded for the single release. I think they just about get away with the repetition of the chorus, but even if you find it a bit grating, the B-sides are pretty fabulous too. 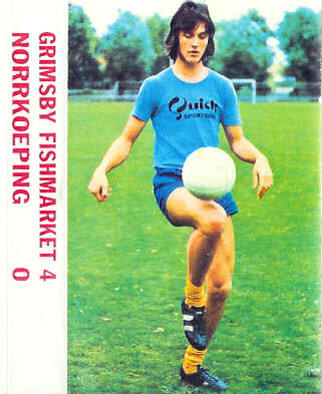 I had the cassette single at the time and played it way too much, probably – actually, I probably still have it somewhere! “Don’t Let Me Down” is a Beatles cover, and the one song that wasn’t on the cassette. It’s… less essential than the other tracks. 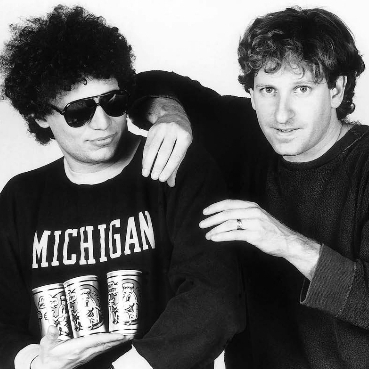 Detroit’s leading pop funk surrealists Was (Not Was) initially came to prominence through their association with New York “mutant disco” label ZE Records, and rather like ZE’s other big stars Kid Creole and the Coconuts, while they’ve always been critical darlings, their invention and satirical edge has often led the wider public to perceive them as the wrong kind of novelty. But that’s the general public for you. 1980 debut single “Wheel Me Out” actually pre-dates their association with ZE, coming out on Island Records’ Antilles imprint, but it definitely sets the trend for their future career, setting down a solid disco-funk groove with weird spoken lyrics on top, and a typically eclectic mix of guest performers, from David Was‘s mum Elizabeth Weiss on vocals to top session guitarist Bruce Nazarian and veteran jazz trumpter Marcus Belgrave. And of course you get the B side as well. Though personally I prefer the very different “short version” of “Hello Operator” that came out years later on the “Listen Like Thieves” CD single… that’s right, they covered an INXS song, but that’s for another time, maybe. Can’t say I fancy 2019 very much, but while we’re going through the motions, here’s some Irish lads with guitars. 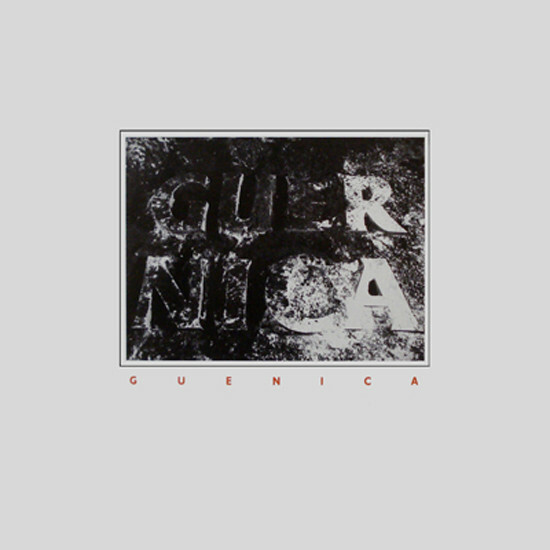 Described by lead singer Joe Rooney as “a New order type band that ended up going rockabilly”, Dublin quintet Guernica released three singles in 1987-8, all of them rather scarce and sought-after now. This, their debut, is on Discogs at £135.17. It’s a good record, but is it 135 pounds and seventeen pence good? Is anything? Anyway, very New Order-ish guitars, and at times threatens to break into “Inbetween Days” by the Cure. And you can have it for free! And can you spot the error on the sleeve (right)? 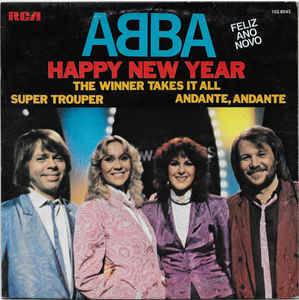 From 1980’s Super Trouper, by which time ABBA were getting into the bleak stuff, comes this magnificently pessimistic new year song. Oddly enough, although there’s plenty of writing out there about all the dark stuff that found its way into Abba songs, this particular track always seems to get overlooked. Sod “Auld Lang Syne”, these people know that birth is a curse and existence is a prison, and every new year is just the prelude to another twelve months of disappointment and misery. 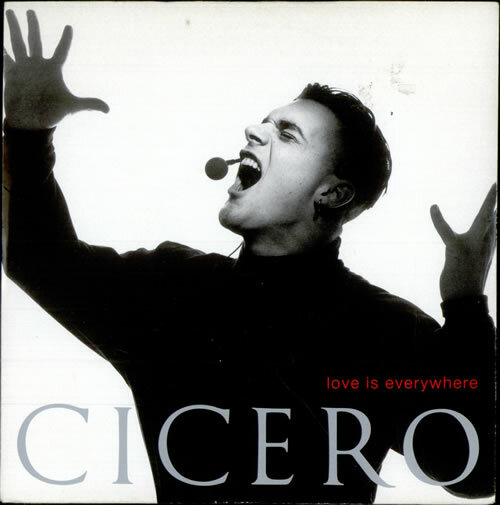 I suppose you could call Cicero a one hit wonder; while he did make a few other pretty good pop singles, none had the impact that this one did (his only top 40 hit, it climbed to #19 just in time for Valentine’s Day, which is damn good timing). Though US-born, David Cicero (for it is he) was raised in Livingston in Scotland’s central belt, so his Scottish accent – one of the most striking things about this record – is genuine. The other striking elements are of course the bagpipes (again, the real thing) and the whole Pet Shop Boys production, complete with unmistakable Neil Tennant backing vocals. For me, the extended mix is the winner here. A marvellous cassette-only compilation from 1991, released by a small Swedish label, Records From The Cookie Nose Tower. From the title, it would appear that the concept is that it contains Swedish and British acts, though the scattering of Japanese bands (Bridge, Roof, Venus Peter and Marble Hammock) rather undermines that premise. Regardless, it’s another sparkling selection of early 90s indiepop, with early and rare stuff from then-or-future Sarah luminaries Blueboy (on what may have been their recorded debut? ), Brighter and The Orchids (is this really the first time The Orchids have appeared on this blog? Now there’s an oversight), what in retrospect looks like a jarringly big-name contribution from Stereolab, inevitable appearances by Louis Philippe and Momus, and who is that hiding behind the pseudonym Cerise? It’s only Amelia Fletcher, doing a solo version of Heavenly‘s debut single from the previous year! Oh, and the Swedish and Japanese bands aren’t bad either. Incidentally, Are You Mr. Riley and The Rileys are the same band, they just changed their name… in the middle of this compilation album, it would appear. Not a guilty pleasure, just a pleasure. So many of my best musical memories from the early 90s are in the realm of “faceless dance music”, and I think this has to be one of the most likeable choons (not necessarily tunes, but choons) of the era. 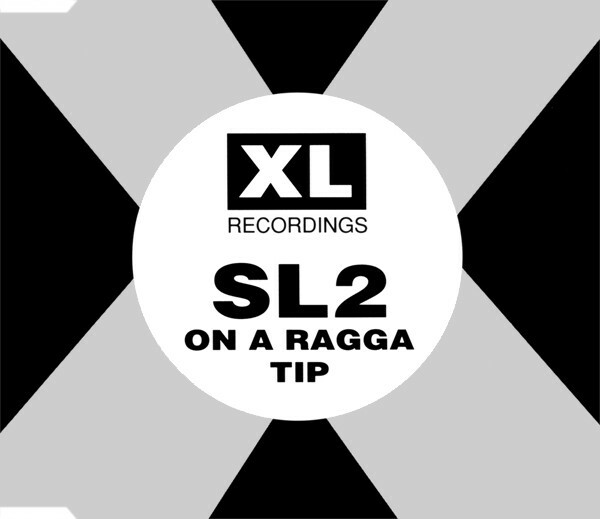 The biggest hit by Matthew Nelson and John Fernandez, alias Slipmatt and Lime, alias SL2, it leans heavily on a scatted vocal refrain sampled from Jah Screechy‘s 1986 dancehall track “Walk And Skank”. 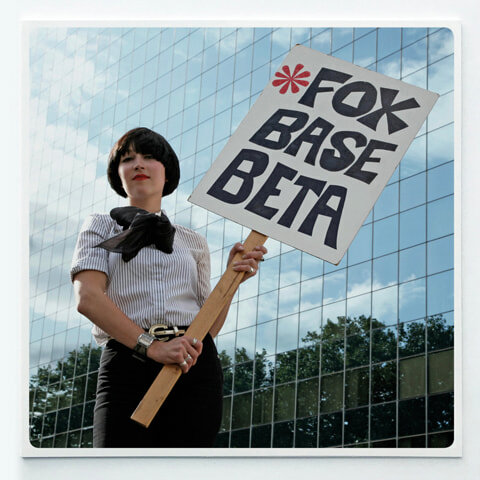 Being the pretty fab and stupidly unobtainable Richard X “re-production” of Saint Etienne‘s debut album Foxbase Alpha. Some interesting reinterpretations and a few that actually surpass the originals. In particular, this version of “London Belongs To Me” is definitive and a candidate for any future Saint Etienne “best of”. A quick one, because I wasn’t going to post anything on Christmas Day, but over the last few days I’ve been sharing things that aren’t really christmas records as such, but which make some reference to christmas anyway… and at 11pm on Christmas Eve I thought of another song that fitted the theme, and the reference in this one is specifically to “christmas morning”, so I rushed off to find my shoebox of music backups and dug out this delightful 1989 Terry Hall tune for you all. Happy Christmas! Back here tomorrow for a Boxing Day bonus long player!